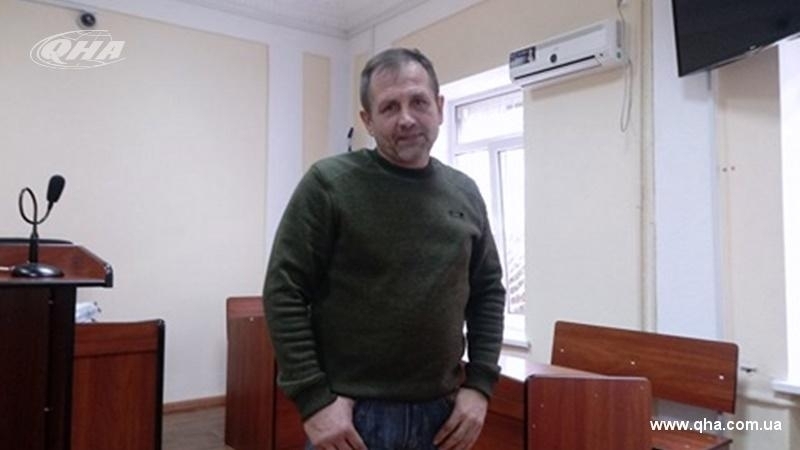 Ukrainian activist Volodymyr Balukh, who has been on an unlimited hunger strike since March 19 in the Simferopol jail, is in serious condition, public defender of the activist and Archbishop of Simferopol and Crimea Klement reported on June 1. According to him, Balukh's health is depleted, his strength is ebbing away..
“Volodymyr's condition is difficult. How can a person feel through so many days of hunger strike? Volodymyr is physically exhausted. He does not have the strength. During the trial he was constantly drinking water," the Archbishop said. Reference: Volodymyr Balukh is a Crimean farmer, who hung out a Ukrainian flag on his house in 2014, which was repeatedly ripped off by Crimean security officials. In November 2016 Volodymyr attached to his house a sign with the inscription "18, Heroes of Heavenly Hundred Street”. According to him, he then started receiving threats from local “administration” saying that if he did not remove it, then some drugs or weapons could be found in his house, which in fact has happened. Earlier Archbishop Clement wrote an appeal to President Vladimir Putin with a request to liberate Volodymyr Balukh, Oleg Sentsov, Oleksandr Kolchenko, Oleksiy Chirniy, Ihor Movenko and Oleksandr Kostenko. It was also reported that the Archbishop Klement was not allowed to visit Volodymyr Balukh in the occupied Crimea. He stressed that the occupation authorities violate Balukh's right to defense.